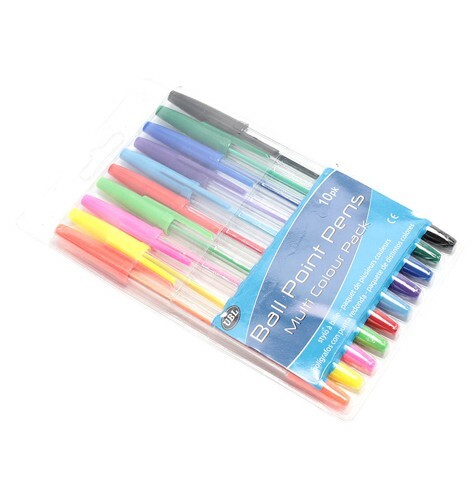 Pens Ball Point Coloured 10Pk. 158 x 8mm. 10 Assorted Colours. AS. 58G Packaging: PVC Pouch with Card.